At the Chai Mommas virtual HQ, Neesha is our backbone! We love how she is able to juggle managing our blog, being a mom of two amazing boys and have a full-time demanding job…and she handles it all with grace. Here she shares her thoughts on how she balances that while trying to stay connected to her Indian roots. The other morning, my sons quietly packed their bags and all I could hear was the coffee pot going. It made me realize how different it was for me to growing up. I was so fortunate growing up to live with not only my family, but my grandparents, cousins, aunts and uncles. Our mornings were definitely not quiet to say the least. To people outside of my culture, it probably sounds overwhelming. I mean even if you ask me today, I could not fathom having that many people living with me. Often times, though I forget about the things that I learned by just being around them. I can fully speak Gujarati. I learned how to cook pretty much everything. I am proud to really understand the importance of family and respect of my elders. So here I am, a 37-year-old South Asian mom, now bringing up two boys in a totally different environment. It’s just four of us in the house, we barely speak our language and my children haven’t had the opportunity to learn about their own culture the way I did. Sometimes I sit and ask myself, am I doing something wrong? Am I a good South Asian mom? My parents worked over 60 hours a week, and not a desk job, it was manual labor and managed to still take care of us and embrace so much culture in us. They didn’t have nannies or carpool systems to make their day easier. They didn’t have electronics to communicate but in some way they instilled values in me that I am so fortunate to pass to my children. The question that gets me though is, am I really doing it as good as my parents did? I am sure the majority of moms in this generation can agree that they may share this same struggle with their kids. And where does the culture come in? We go to garba, visit the temple once in a while and talk about various holidays but I can’t confidently say I am able to teach my kids all about our culture. It’s a really tough balance because I see how much it benefited me. I just don’t seem to have time, and to be honest I think it’s just an excuse on my end to cover my guilt rather than finding a solution. There is so much going on everyday, but I see my own mom making an effort to FaceTime with my kids and teach them songs about our culture. I see her trying to sneak in a few Gujarati words here and there when she calls my kids just to teach them the basics. It makes me wonder…should I be doing that? And while I wish I had a clear-cut answer, I found something that works for me as I started sharing my guilt with other moms that could relate. I learned that there is a fine balance. I realized that ultimately we all are doing fine. I found acceptance and appreciation for what is. I learned to accept and to find joy in what I am able to do. 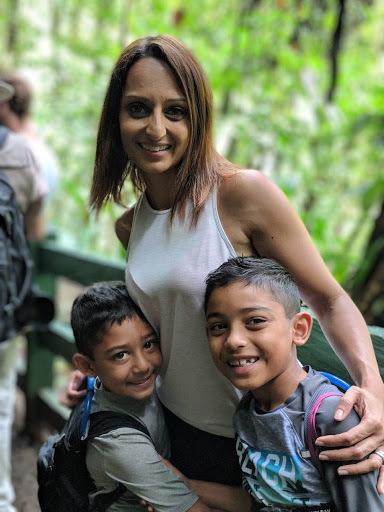 I learned that I am a good South Asian mom, in whatever ways I can share culture and just be love to my kids. I have accepted that times are different now and my kids don’t have grandparents who only speak another language living with them. I have accepted the fact that our lives are just as busy, but busy in a different way. 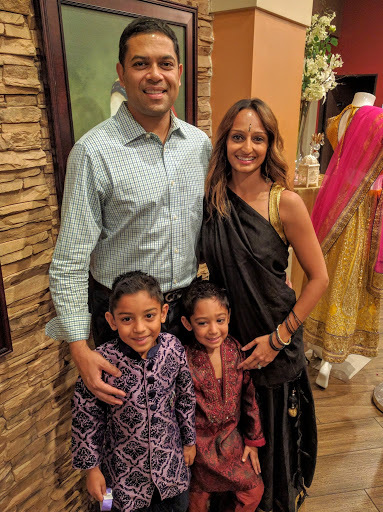 I am learning to balance and teach my kids what I think is important to OUR family about our culture; focusing on holidays like Diwali, Raksha Bandhan, family rituals and always promoting positivity and pureness in our home. That the culture I do share, whether its making a rangoli or learning how to light a diya…it’s all full of love and light. So to answer the question- how do you be a good south asian mom? You already are momma. You are amazing.